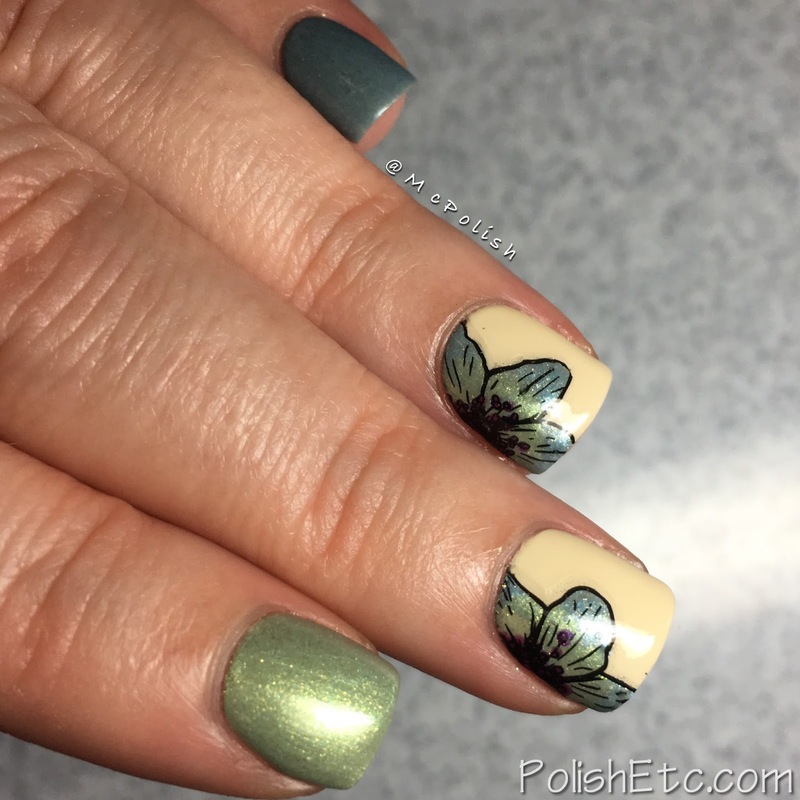 Flower Nails for the #31DC2017Weekly - Polish Etc. This week, we are all going floral nails for the weekly version of the 31 Day Nail Art Challenge. I decided it was time to do more advanced stamping and made some cute flower decals. For this skittlette mani, I used all Zoya polishes again. Most of them I had not tried before and I really enjoyed all of the shimmer. For the flowers, I used an open floral design from the UberChic Plate 4-01 and stamped it on to the UberMat. I colored in the flower design with my polishes and applied a clear coat over the entire image. Once that was dry, I gently lifted up the decal and cut the flower design out to fir my nail. I placed the decal on the nail the way I wanted it and applied a glossy top coat over the entire nail. Here are the Zoya polishes I used: the light yellow is "Jacqueline", the minty green with gold shimmer is "Lacey", the shimmery grey blue is "Amira" and the shimmery warm purple is "Millie". I hope you liked this little skittlette mani as much as I did! I have to get back into doing more advanced stamping. It is a fun technique. 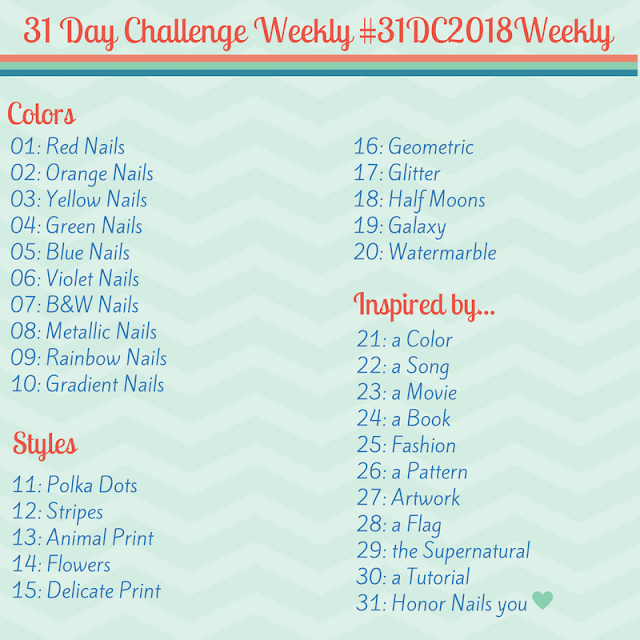 Be sure to check out all of the other manicure under the tag #31DC2017Weekly on Instagram, Facebook and Twitter. This is beautiful! I always thought of Jacqueline as cream color, but it definitely looks yellow here. Your flower decals turned out beautifully! Yes, it definitely has yellow undertones. And the tiniest bit of shimmer. You're such a genius! :) Simply beautiful - the colors, the flowers, all of it.